Martin O’Neill Happy with Point against Serbia – Can You Hear Us Now? After having just completed the testimonial for the celebrated Robbie Keane, the Republic of Ireland were in danger of slipping to an early defeat in the World Cup 2018 qualification. They were trailing Serbia 2-1 going into the last 10 minutes of the game. This was the first World Cup qualification game for Ireland. After having done so well to qualify for the Euro 2016, it was up to the team to show that the qualification to the European Championship was no fluke. Jeffrey Hendrick helped Ireland opened the scoring after just three minutes. Just when it seemed that the game would end with this early goal,Kostić came up with an equaliser just after the hour. Buoyed by the goal, Serbia started playing in a spirited fashion. Equally, Ireland’s morale slipped quite substantially and the team was unable to cope with the sudden onslaught of pressure from the home team. They conceded a penalty just before the 70th minute and it was duly put away byTadić. Just when it seemed that Serbia would hold onto this lead, Daryl Murphy came up with a late equaliser to secure at least a point for the away team. 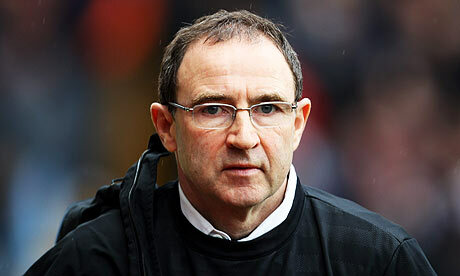 Martin O’Neill was later pleased with this point from a difficult away trip. “Expecting to control a match for 90 minutes away from home against Serbia? That’s lunacy.I thought we thwarted them pretty well in the first half. You would expect them to have a lot of possession being the home team.You knew that they were going to come into the game in the second half and they did so.It is very, very difficult. You are playing away from home against Serbia. These boys play in big, big leagues,” said O’Neill. The national team’s next qualification game is against Georgia in October.